Just to catch you up if you’ve been living under a rock for the last year or so, the Chelsea boot, with it’s characteristic double elastic gores, has been the footwear du jour. Without fear of jumping on the bandwagon really late, I’m going to endorse them. Kanye is probably to thank for the popularity of the style for some younger and some more Kanye influenced wearers, and Common Projects should probably be on their knees, thanking Yeezus for putting their lightweight, crepe soled version (in the sand color) on waiting lists for the entire FW15 season. Putting aside debates about Kanye’s cultural significance, chelsea boots have been a staple in closets of well-dressed men (and women) since the Victorian era, when they were made for the Queen herself before eventually finding their way into men’s closets. Now, they are perhaps best remembers as a staple in the UK’s mod scene in the 1960s, which has seen something of a revival as of late. They also gave birth to the the pointy-toed, Cuban-heeled Beatle Boot variation, but weather with low heels or high, the easy on-off comfort has made the chelsea beloved of the sleek ‘n trim streetwear set – led by you-know-who. They’re a natural extension of the skinny side-zip that has been quite popular for several years, and most makers streetwear makers are pursuing similarly streamlined silhouettes. On the other end of the style spectrum, Blundstone’s rugged (guaranteed for life!) snub-toed, thick-soled version of the style has been a staple among Australia’s outdoors-minded set since the Victorian era as well. While not exactly elegant, that was never the purpose – and if elegance is what you desire, you can still find plenty of classic shapes from brands such as Alfred Sargent, Carmina, and others. Guidi, beloved of every dark-goth-romantic-bohemian-ninja, also makes an object-dyed chelsea boot, should you wish to trade your well-heeled Victorian footwear mores for a rougher look. So, at this very odd intersection in menswear history, outdoorsmen, dandies, gothy-ninjas, and of course Kanye fans, are all endorsing the same style of boot. My pick of the bunch is Epaulet’s Chelsea. That’s because it’s a lot more versatile than other examples. Epaulet’s quality and construction have always been top-notch, and the leather on this pair is a lustrous steerhide that achieves the improbably feat of going with everything. In addition, the last is neither Blundstone-blobby or Yeezy-narrow, so you can wear them with jeans or casual trousers. Plus, crepe soles are really, really comfortable. These were initially a pre-order, but there are a few pairs still available on Epaulet’s website. Although I own a pair in “sand suede,” I think this “Cuoro Como” model is a fantastic buy for anyone looking for a comfortable, stylish boot. They’re only $325, too – which is a really good deal. You can find your own pair here. Although it is a cliche, some things they just aren’t made the way they used to be. Heavy, vintage tailor’s shears are coveted, treasured, and passed along; true rarities because they have not been made for over 35 years. With them, a tailor is about to cut large tranches of fabric, using the weight of the shears to steady the hand. In 2014, a Styleforum member found a factory that still had the old molds necessary to craft these precision instruments, and set out to have them made for members of Styleforum and the tailoring community. Sensing that these precisions instruments would be desired by professional tailors and tailoring students long after the factory molds were once again cold, Styleforummarket ordered about a dozen pairs for sale to the tailoring community. After months, the factory was finally able to reproduce the shears to our exacting specifications. You now have an rare opportunity to get a pair of these heavy shears, which Styleforum’s professional tailors say are far superior to anything available today. Properly cared for, these shears are an investment that should last you more than a lifetime. To celebrate this past year, we’re offering a limited-time discount on these heirloom tools. For this weekend only, use the code THANKS30SF to receive 30% off your purchase. We have very limited quantities available, and these will never be restocked. I’ve been meaning to pick up a second chore jacket for a while now, but still haven’t found the perfect vintage example to call my own. I really like this 1ST PAT-RN chore jacket, called the “Officina.” I’ve been following the brand for a while now, and although I haven’t taken the plunge and purchased anything yet, I’m almost always tempted but everything they make. The styling of the Officina is a little more trim and militaristic, which makes the silhouette a bit sharper than a vintage version, or even some of the heavy, workwear-styled jackets you can find these days. This one sports a very handy interior pocket (many chore jackets don’t), and the stitched-in back belt is a nice touch. It’s also trimmed with visible selvage on the seams, which makes the construction look pleasantly clean. I quite like these unlined, light jackets. They’re really versatile – you can wear them as a light outer layer, put them over a sweater, or even use them as a mid-layer under a coat or a vest. And they lend themselves to styling of all kinds: denim is easy, but olive trousers look great, as do sharp black trousers. Footwear is equally simple – as long as you’re not wearing sharp, leather-soled shoes, you’re probably good. I’d wear this one with either lightweight chukkas (or your favorite boots), or maybe some Birkenstocks for lounging around. I admit I’m a little sick of the ultra-clean CP achilles-with-chore-jacket look, but it’s certainly an option. The 1ST PAT-RN version is more expensive than a lot of its competitors, but I think it’s worth it – especially if you’re into high-quality construction. The extra details definitely set it apart, the sharper silhouette lends itself to more styling options, and for whatever it’s worth you don’t run as much of a risk of looking like a slave to current trends. Our friends over at Standard and Strange carry the full line, which I encourage you to check out. Sashiko fabric, however, is a much more recent development (and is the product, almost universally, of mechanical looms). It refers to a tightly-woven cotton fabric reinforced with a equally tight running stitch of embroidery-weight thread that imitates traditional sashiko needlework. The weaving technique ensures that objects made from sashiko fabric will be able to take a beating – both literal and figurative. Sashiko gi are the traditional garb for aikido, judo and kendo practitioners, and act as an added layer of (light) protection for the wearer. Although many garments used for gi are bleached and left white, sashiko fabrics are also commonly dyed in indigo. Folk wisdom holds that naturally-derived indigo is an anti-inflammatory and anti-microbial agent (and that it keeps snakes away). I’ve yet to see clinical proof, but being covered in blue dye can’t hurt. Right? Although they come in various weights, most sashiko fabrics are heavy and utilitarian, and its use in contemporary garments generally reflects that fact. Outerwear and the occasional heavy pant are where you’ll most often find it, and a handful of companies offer street clothing made from the hard-wearing fabric. Speaking of Blue Blue Japan, they’re a favorite of the Styleforum editorial team (and carried at affiliate No Man Walks Alone), and they offer several sashiko garments, including chesterfields and a great hunting jacket for this season (you can read about our visit to their showroom here). So does Gaijin Made, another Seilin brand. Kapital makes a range of sashiko-reinforced denim that they refer to as the “Century” line. Luxire, another Styleforum affiliate, now offers a sashiko jacket as well. Newer brands, such as Nine Lives, attempt to marry American heritage with Japanese workwear traditions, which results in clothing such as a sashiko-gusseted yak leather rider’s jacket. The point is that, if you’re interested in giving sashiko a shot, there’s probably a piece of clothing out there that will appeal to you, whether it’s one of Blue Blue Japan’s more elegant pieces, or a rock ‘n roll indigo leather from Nine Lives. One final note is that most sashiko garments, by virtue of the fabric weight and thickness, are relatively heavy and structured. They’re also often backed with another layer of cotton canvas, so don’t expect a great deal of “drape.” Instead, you get some nice creasing effects that really come to life as you wear the garment in. Do note that the weight of these fabrics varies depending on what the maker has in mind, so I recommend inquiring with a retailer before you buy. For example, Blue Blue Japan is offering a lighter-weight sashiko fabric this year that appears as a beautiful women’s robe-style overcoat, and some of Gaijin Made’s outerwear is designed to be lightweight. Regardless of the garment, sashiko fabric is made to last. It’s abrasion-resistant, and despite being a cotton weave it’s tight and thick enough to use as a winter layer in many climates, especially when worn on top of a heavy knit. If you’d like to make a sashiko garment part of your wardrobe – and I recommend it – expect it to last a long time. And wear it hard, because that’s the point. 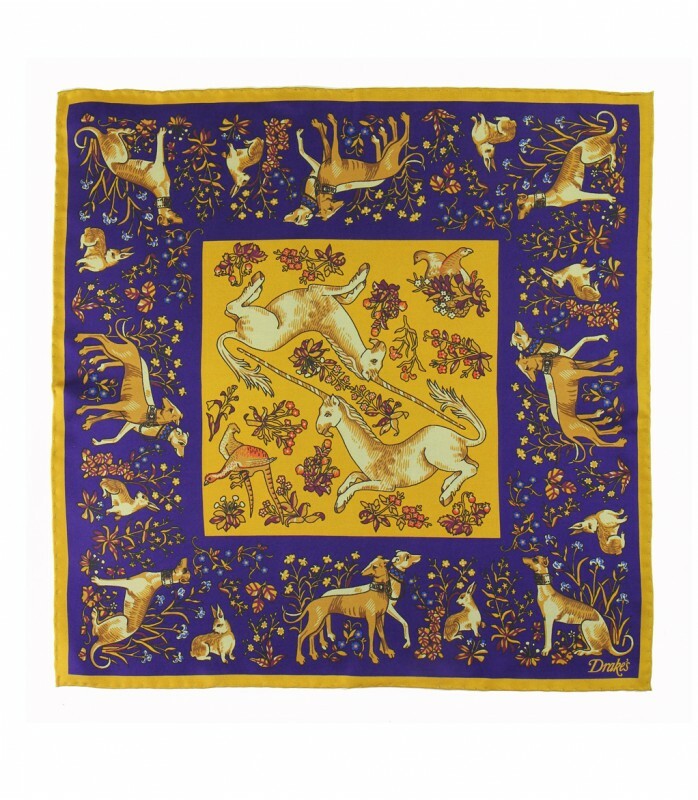 With the British pound at a historic low against the dollar, American shoppers can finally indulge in guilt-free purchases of fine British accessories by treating themselves to some exquisite items from the land of Her Majesty. It’s even sweeter if you think that a recent change in tariff regulations now allows buyers to spend up to $800 each day without paying duty on products shipped from abroad. In case you’re short of inspiration, here’s a shortlist of some of the best and finest British goods that will instantly make you look like a distant, distinguished, cousin of the Prince of Wales. Instantly up your style with one of Ettinger’s classic billfolds. 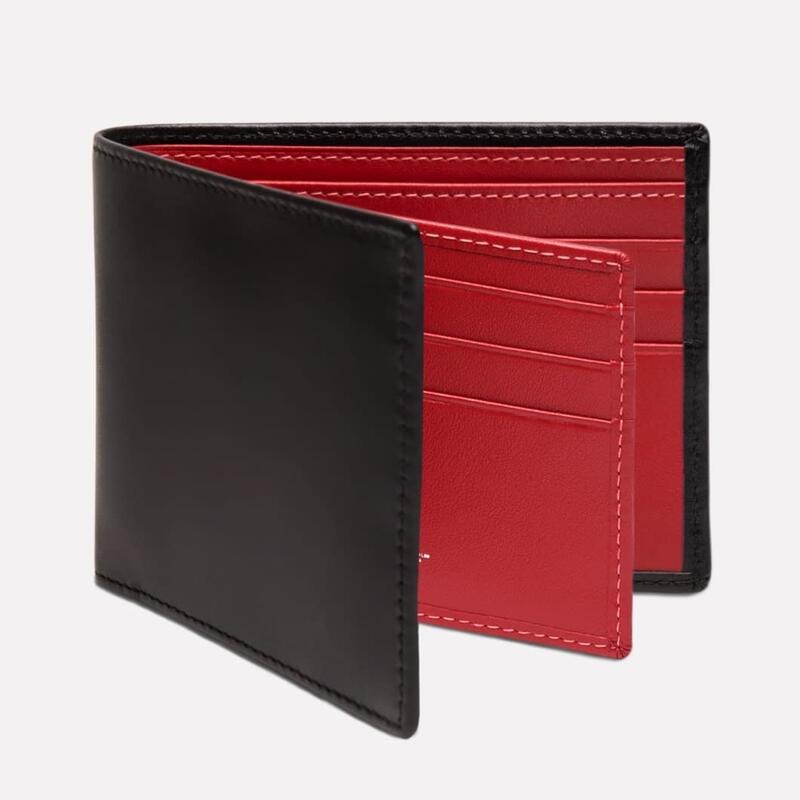 Lined in contrasting leather, you can choose to have 3, 6, or 12 credit card slots, a coin purse, and even opt for silver or gold corners to protect your precious pocketbook from wear and tear. Pretend to not notice all the glances of admiration as you pull it out to pay for your next coffee with the money you saved from the weakened pound. If a Burberry trenchcoat seems way too clichè nowadays, you can class up your wardrobe with one of Purdey’s stunning outerwear pieces. 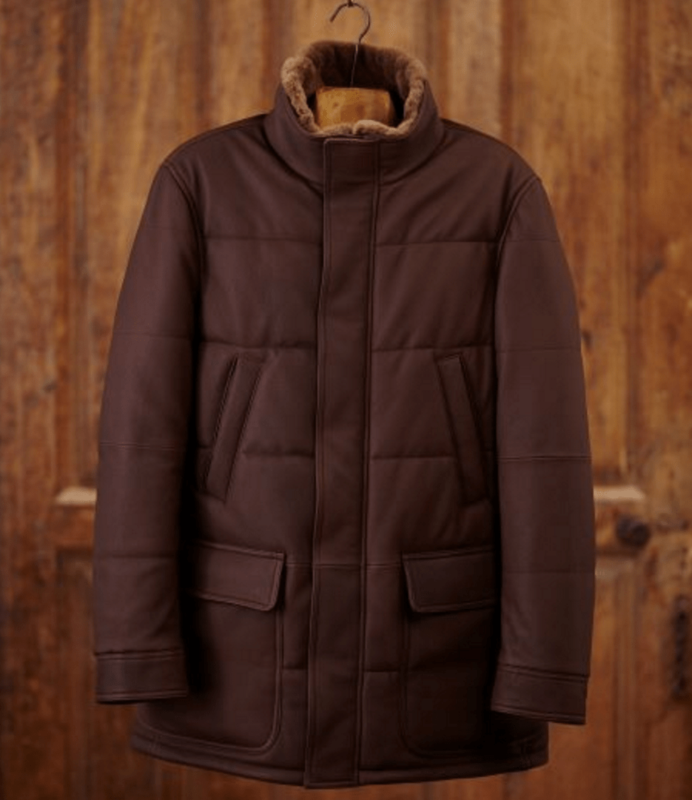 The highlight of the collection is a luxurious leather quilted paddock coat (a type of traditional hunting or sporting coat used in the UK) that is both lightweight and warm. It would be a shame to buy one without the other. Brigg’s handmade umbrellas are famous worldwide, and it’s not uncommon to see their signature polished chestnut handles hanging on royal arms. 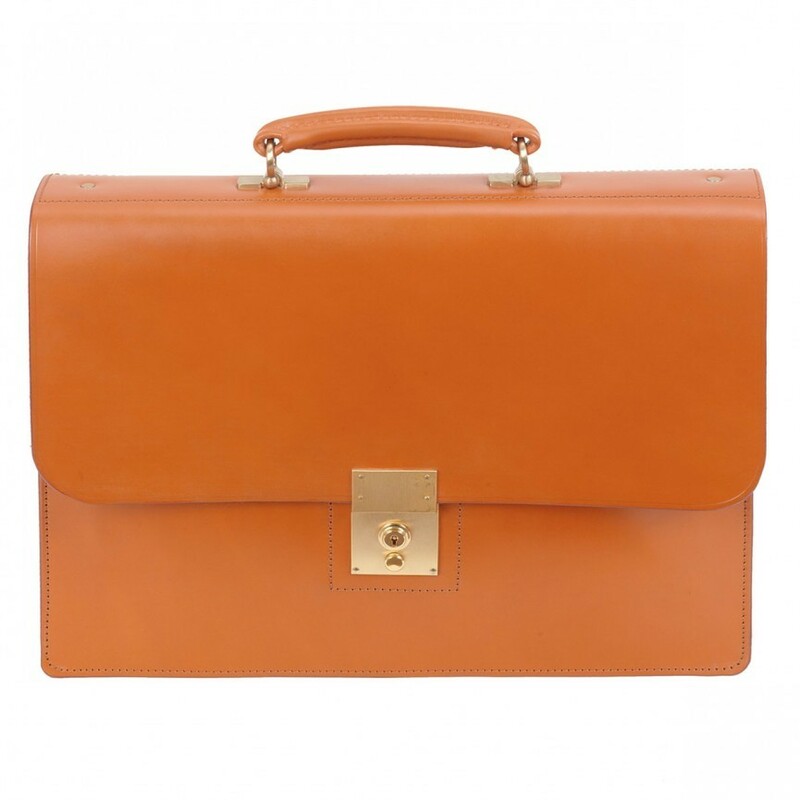 Swaine Adeney briefcases are a monument to British craftsmansip. If you feel like being a touch more adventurous, choose their Attache case: originally commissioned as a Diplomat’s case in the 1800s, this model has been made since then using the same, ancient process that involves hand stitching with natural linen thread. 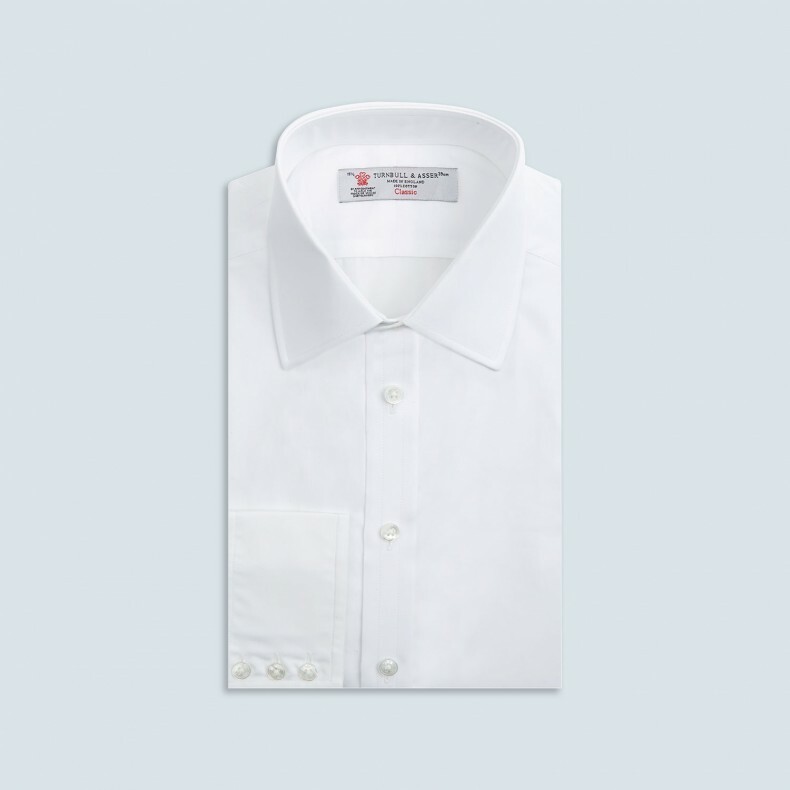 There will never be a better time to stock up on elegant white shirts, perhaps the one item that everyone can agree is a classic and timeless staple of a man’s wardrobe. Like a blank canvas, a white shirt is the starting point of any outfit. Each T&A shirt is made in Gloucester using hand-operated sewing machines from 33 individual pieces of high-quality cotton, making it a covetable piece for any classic menswear obsessives and fashion aficionados alike. Make sure to splurge on some Sea Island Cotton if you only want the best of the best. Equus has been a longtime forum favorite, and since you no longer have to tighten the belt on your finances when shopping – thanks to the current state of sterling – you can proudly tighten a new, handmade leather belt on your waist instead. Equus specializes in bridle leather belts using leather from venerable English tanneries Sedgewick and Bakers of Coylton, but recently have been producing belts using leather from European tanneries like France’s Tannerie Haas. 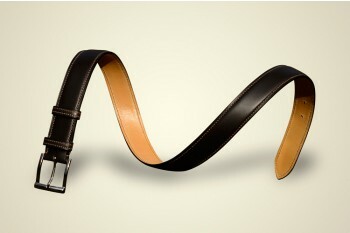 They also use buckles specially commissioned from French silver and goldsmiths and Japanese master blacksmiths. Drake’s website is a cornucopia of goods that would tempt anyone who’s into classic clothing. Styleforum members have a soft spot for Drake’s accessories, and swear by their handmade ties and archival-printed pocket squares. We have it on good authority that our editor Jasper has a thing for the unicorns. Load up on Christmas presents and upgrade to high class stocking-stuffers. I had a pair of Tricker’s Stow boots once upon a time. Great boots. Comfy, stylish, and nicely-made. Casual, certainly, but the fact that you can wear them 5-6 months out of the year where I live means they see a lot of use. Sadly, my pair are no longer with me, but ever since they left I’ve been contemplating picking up a replacement. The number of suede models available at the moment has made this compulsion more noticeable. According to my girlfriend, I have a mild obsession with suede boots. This, despite the fact that I’ve managed to cut my collection down to two pairs – but she’s right that I’m always looking for more. The perceived fragility – and I say perceived, because most suedes really aren’t fragile at all – of suede boots has never bothered me, and I tend to wear them anywhere and anytime I’d wear any other shoe. I don’t know if there’s a rule about suede boots being perfect for autumn written in the Style Rulebook somewhere, but the combination of texture and depth of color that suede offers lends itself to autumn foliage and chilly mornings and all of that 90’s rom-com stuff. As loathe as I am to revel in the sorrow of others, the current state of the British pound means that ordering directly from Tricker’s is a pretty attractive proposition. Currently, they’re sitting at about 480USD, which, while not exactly pocket change, is a fair bit cheaper than you’ll find them at most North American sellers. If, like me, you’re constantly contemplating another boot purchase, take a quick look at what Tricker’s has up on their website – maybe I’ll see you out on the moors some day, and we can have a “SAME BOOTS” moment. My birthday marks the beginning of the school year, the end of summer, and the opening of glorious fall. That wonderful season when you are not freezing, but at the same time, it’s not so hot that you wish that you had better abs (truth time – abs, period) so that you could just hang out with no shirt on all day. With fall comes rain, and I’ve suffered many a shower in a leather jacket because it’s always been really hard to find a cool-looking, but breathable, rain coat. Last fall, my suffering came to an end with the discovery of T. Michael’s expertly designed Norwegian Rain coats. I spent a summer in Bergen, Norway, from whence Norwegian Rain comes, and having lived in a city where it rains over 250 days of the year, I can understand why T. Michael decided to create Norwegian Rain. My only question is “where have you been for the last 30 years or so?” The Japanese waterproof textiles are breathable and come in a variety of colors and weaves which absorb light, giving the coats a rich depth and making them great outerwear general, rather than merely coats that are nice to wear when the skies are pouring down. Normally, I write these product recommendations with mixed emotions, because it means that the product is much more likely to be gone by the time I have enough money in my discretionary budget to indulge myself. This time, I do so with light heart, since my wife has imposed a strict spending budget that does not accommodate this coat, and the best that I can hope for is that a benefactor send it to Styleforum HQ for me (size Medium, please). Or, barring that, that someone cool buys it and posts cool pictures of it on the forum. The “Single breasted” coat is one of Norwegian rains standard models, and looks good over both suits and jeans. The real appeal to this particular example is the rich “denim” color, a complex blue with a variety of low tones that allow it to complement most type of blue jeans, grey or black pants, and even moss greens. Norwegian Rain mixed denim raincoat, from www.nomanwalksalone.com, $605.